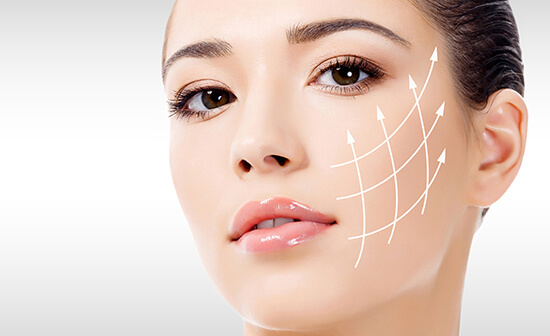 Anti-wrinkle injectables are also referred as botox. This treatment gives highly effective results in wrinkle softening or their complete disappearance from the forehead, glabellar area (between the eyes) and crow's feet (around the corners of the eyes), which leads to a noticeably fresher and younger looking appearance. 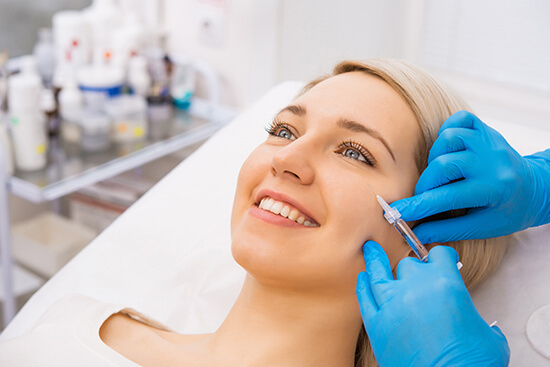 The procedure lasts less than 20 minutes, where a very fine needle is used to inject botox into the facial muscle to achieve a subtle, fresh and youthful result, which generally gives patients a boost in their self-confidence. 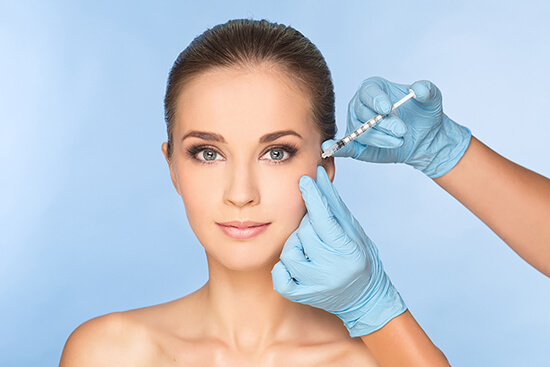 Anti-Wrinkle injectables are an effective way of softening fine lines and wrinkles. They are injected directly into the muscle that causes facial contractions, for example the frown lines between the brows, and work by stopping facial nerves from sending the message to the muscle to contract each time you make a facial expression.This allows the muscle to relax and as a result, the overlying skin releases its wrinkle. Anti-wrinkle injectables can be used in a variety of treatable areas of the face, depending on where your wrinkles are. Is the anti-wrinkle injectable painful? An anti-wrinkle injectable is administered with a very fine needle, and takes only a few seconds. It’s a tiny prick of the needle for a moment, and most patients tolerate it very well. Several injections are given into the area you’re concerned about, for example the frown lines between the brows. Will I see immediate result? It varies by patient, but as a rule expect to see the results within 5 – 7 days as the muscle beneath the skin of the frown line relaxes; full result within 14 days. Once it does, the difference will be noticeable to you as you know every inch and line of your own face. The results are subtle and natural, making you look well-rested and more youthful. Are there any side effects after anti-wrinkle injectables? 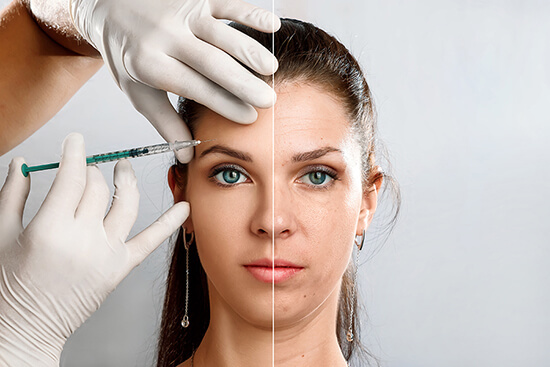 Anti-wrinkle injectables and dermal fillers are tried and tested in millions of treatments globally and are safe and effective when administered by a doctor who has correct understanding of the underlying facial musculature.Side effects can include minor bruising at the site of the injection, so don’t take any medication that thins the blood (like aspirin) for several days prior to your treatment, as this increases the risk of bruising. And also occasionally eyelid drooping which could last up to two weeks after treatment. How long do anti-wrinkle injectables last? Each patient responds differently but in general, anti-wrinkle injectables last between 3 and 6 months before the relaxing effect on the muscle wears off. Will use of anti-wrinkle injectables prevent more wrinkles from forming? Evidence suggests that as the muscle is trained to relax and the overlying skin releases its wrinkle that it does help in the prevention of further lines from forming in that area. It’s the repeated contraction of the facial muscle whilst making an expression like smiling or frowning that caused the wrinkle in the first place, so once the muscle relaxes, wrinkles don’t form in the treated area until the effects of the injection wear off. Regular treatments mean the muscle stays relaxed, and wrinkles are kept at bay. I’ve had two Profhilo treatments with Martina and am thrilled with the results. The treatment itself was really quick with very little “down-time”. My skin is now visibly plumper, really hydrated and the texture has greatly improved (some acne scarring has even reduced). I would 100% recommend to anyone looking to achieve firm, healthy and radiant skin. Thanks to the girls in Dunboyne! Put me at ease upon my first visit. Looking forward to going back for my follow up Profhilo treatment and excited about results! Martina was professional and approachable. She clearly outlined the expectations I should have for the results of the treatment and said that visible results may take a week or two, however I was pleasantly surprised as I noticed results almost immediately! I'm looking forward to my second profhilo treatment. Very competitively priced, and a premium service. Would definitely recommended to friends (I have already). Very nice experience. Easy to book, the receptionist was very friendly and there's a nice atmosphere in the place. I was a bit nervous before the profhilo treatment as I've never has anything like this done before, but Dr. Keeling was very calm and put me at ease. Appointments were also available at short notice which is a bonus. I'll definitely be back. I'd heard a bit about Profhilo and was surprised it was available locally. Decided to give it a try and I was very satisfied with the results. I'm in my 50's, the treatment definitely got rid of some unwanted lines and wrinkles. Martina was very professional too. Really, REALLY happy with my treatment. I had a regular botox clinic I used to go to, but since moving closer to Dunboyne I thought I'd try out Facial Aesthetics Dunboyne - It was a good decision. Really professional set up, good prices, and nice people. I'll be seeing you guys again soon! For more information on the cookies, please click here.